This is one of those posts I made this site for. 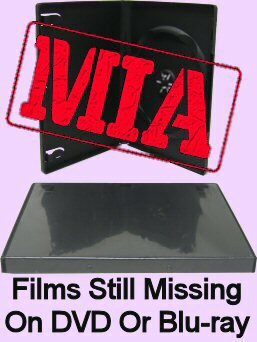 This case has been frustrating sci-fi lovers and DVD collectors for almost fifteen years now. 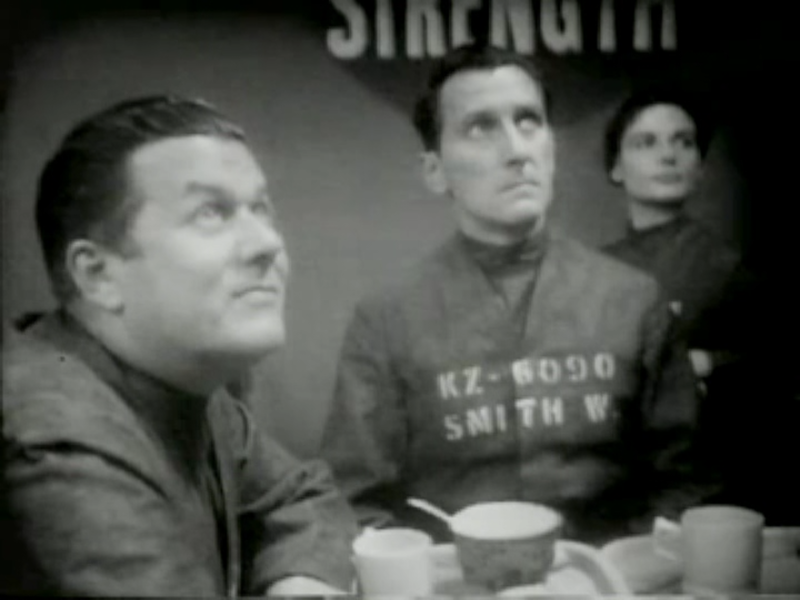 That's when we were first told about the restoration done on Nigel Kneale's BBC adaptation of George Orwell's Nineteen Eighty-Four for a pending release from DD Home Entertainment. 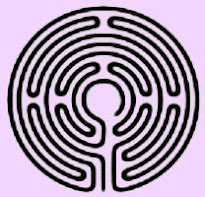 It's a twisting, frustrating tale that so far has ended in nothing, but I still remain hopeful, for reasons I'll get into. 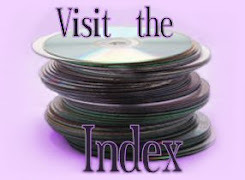 This isn't really about the particular stop-gap grey market discs I've settled for in the meantime, pictured above, but I'll tell you everything you could want to know about that, too. 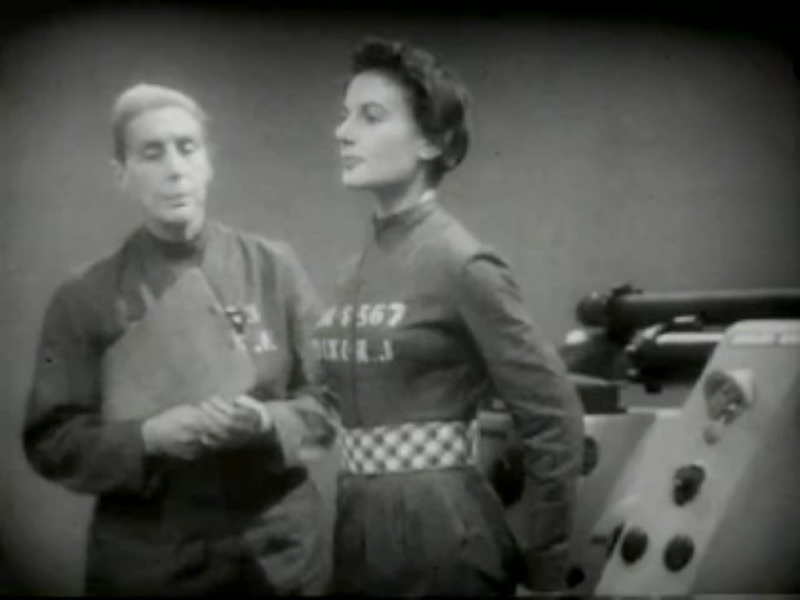 Like all the BBC productions from that time, 1954's 1984 aired live, and thankfully, unlike many of those productions, it was recorded and preserved. 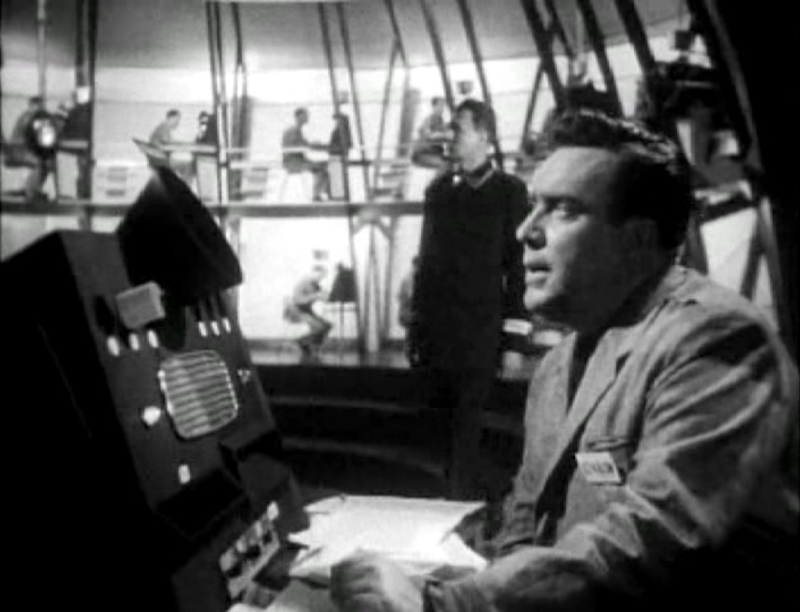 1984 was produced and directed by Rudolph Cartier, the maverick visionary who also made all of Kneale's original Quatermass serials along with other noteworthy works including his lost horror classic The Creature (remade as Hammer's Abominable Snowman, also starring Peter Cushing) and an adaptation of Wuthering Heights. 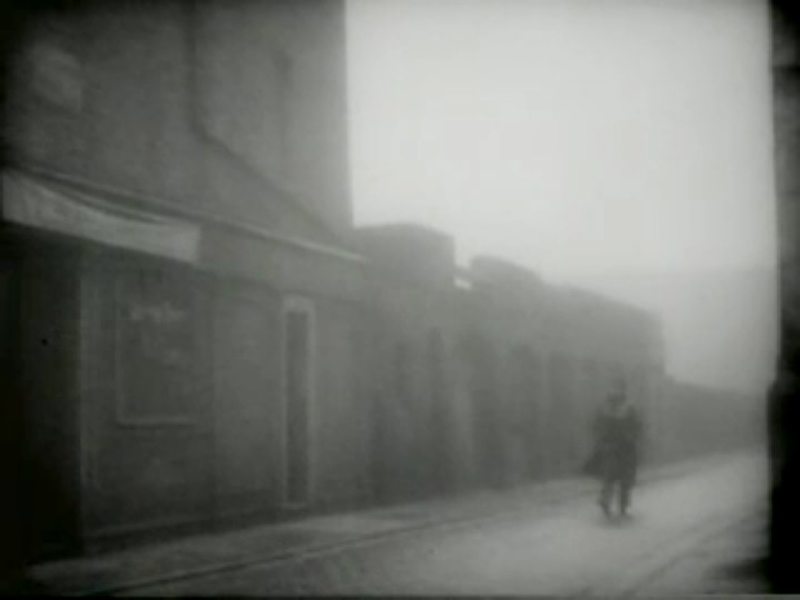 Unlike classical adaptations like Wuthering Heights, however, it's worth noting that Orwell's novel was a contemporary work, having been published in 1949. 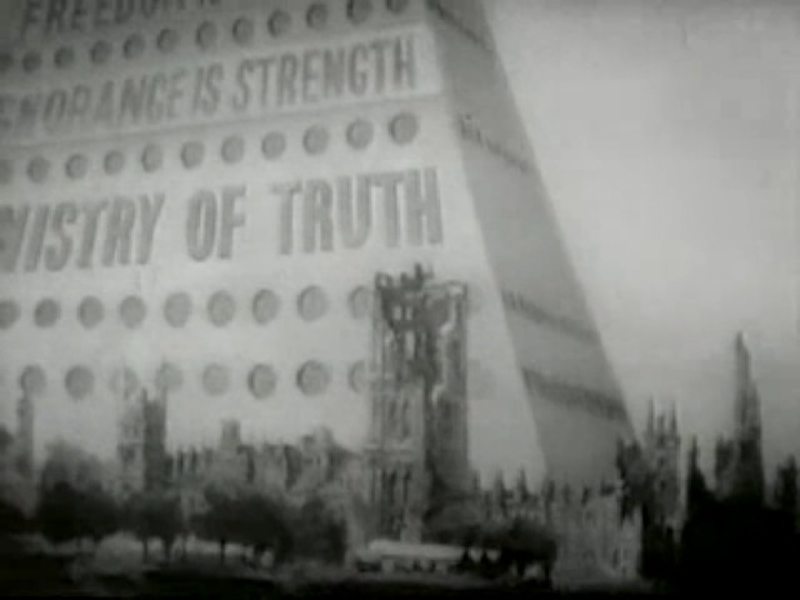 So this was the first time viewers were seeing 1984 on screen, and it was quite controversial at the time, primarily for the torture/ Room 101 scenes, though by today's standards, it's all suggestion and quite tame. While this is far from his first acting gig, this is the film that really put Peter Cushing, who plays the lead character Winston Smith, on the map, because it was this production that led Hammer to pursue him for their movies. And even having seen subsequent adaptations of 1984, it's hard to imagine anyone performing the role on the level of Cushing. 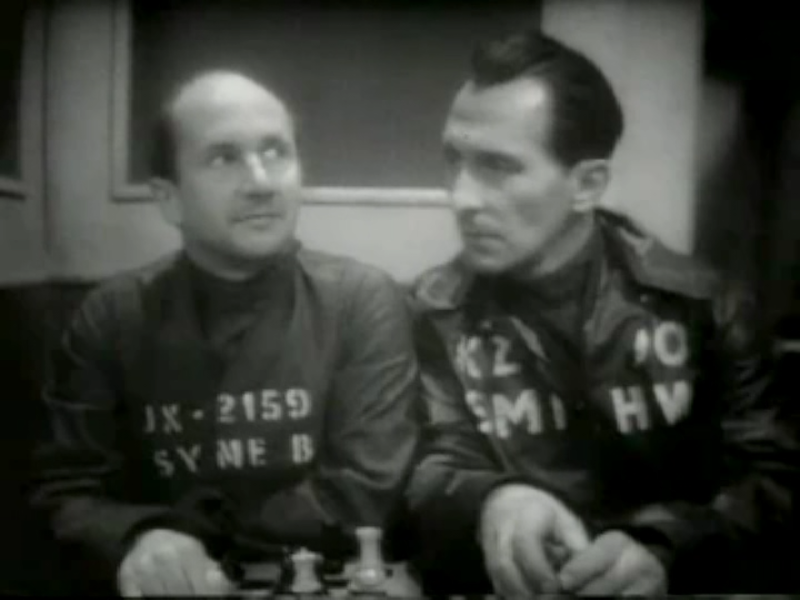 He shares the screen with some impressive co-stars, too, including Donald Pleasance as his confidant Syme and Andre Morell, who'd go on to play the title role in Kneale and Cartier's Quatermass & the Pit. 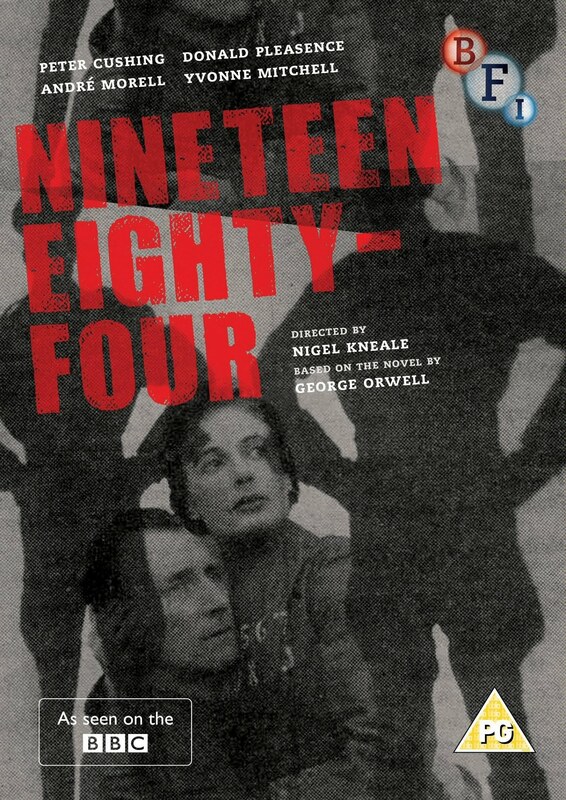 With a smart and faithful script and top shelf performances, this still holds up as the definitive Nineteen Eighty-Four to this day. So what happened to that restoration? Listings for the DVD went up on all major retailers site in the summer of 2004, soon followed by a very exciting press release. Like Quatermass & the Pit (again, this was all standard for BBC programs of the time) the live performance made use of 35mm film inserts, and DD's press release described making fresh scans of the original negatives to insert them into the best quality telerecording they could muster, describing the results of their work as, "even better than when it was first transmitted." I can still vividly remember, and just tracked down, the original MHVF forum post where I read that the release was being delayed, if not out-right cancelled, because Orwell's estate didn't want it conflicting with a concurrent DVD release of the 1984 Hollywood version (yes, the studio movie of 1984 came out in 1984). I've seen that version, and it's not bad... it's certainly got the production values, and William Hurt's a great actor. 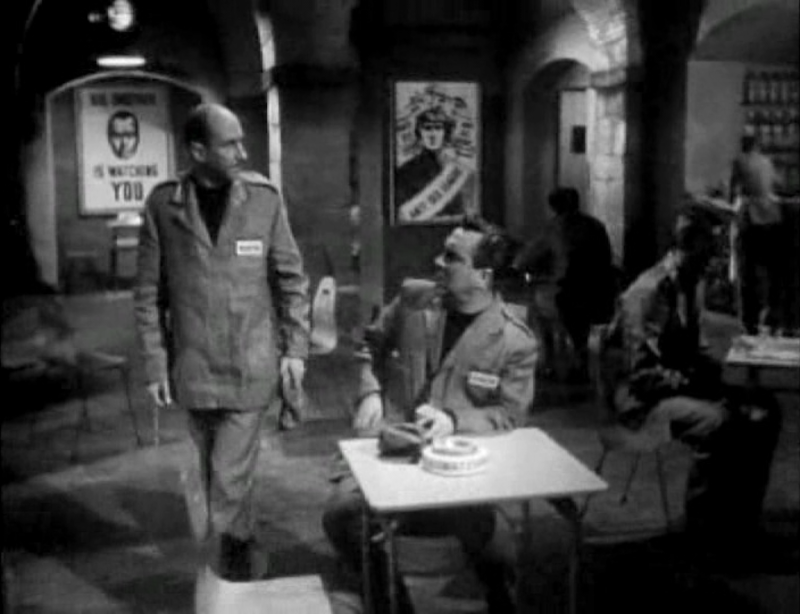 But there's something more oppressive about the plain, gray walls of the BBC original, and Kneale's script and Cushing's performance are just tighter and more effective even to this day. But okay, fine. A delay is annoying, but if you've ever been excited by an announcement for a Synapse Films release, you've learned to cope with long waits. Of course, fifteen years is another matter. But there were more developments in the meantime, stringing the faithful along. First, in 2007, Koch Vision announced a US release. That quietly disappeared, too. Then, iIn 2014, The BFI announced their own release (scroll down), and again, it was listed on retailers' sites with a new cover (wrongly proclaiming it to be "directed by Nigel Kneale") and everything. If you click that link now, however, you'll see it's been pulled, too, apparently for roughly the same reason: the Orwell estate only wants the one version on the market. I hope it doesn't escape them that they're crushing important art and, in some small way at least, emulating the authority figures George was warning us about in the first place. So, in the meantime, I got this grey market DVD from A2ZCDS. I hesitate to call it a bootleg, since it's openly sold through major retailers, and is a legitimately pressed disc with a UPC, etc. But you know, it's like all of those cheapo releases that put out "public domain" titles where the title isn't really in the public domain, so much as nobody seems to be actively defending it. And there are a number of such unauthorized releases of the 1954 1984, but I picked this one because it seemed a little more respectable... I knew there'd be no such thing as a high quality release, but I could at least hope for no ugly watermarks or interlacing. And because, despite saying "1 DVD" clearly on the back of the case, and not mentioning it anywhere at all, this is actually a 2-disc set with the 1956 American adaptation of 1984 included as well. 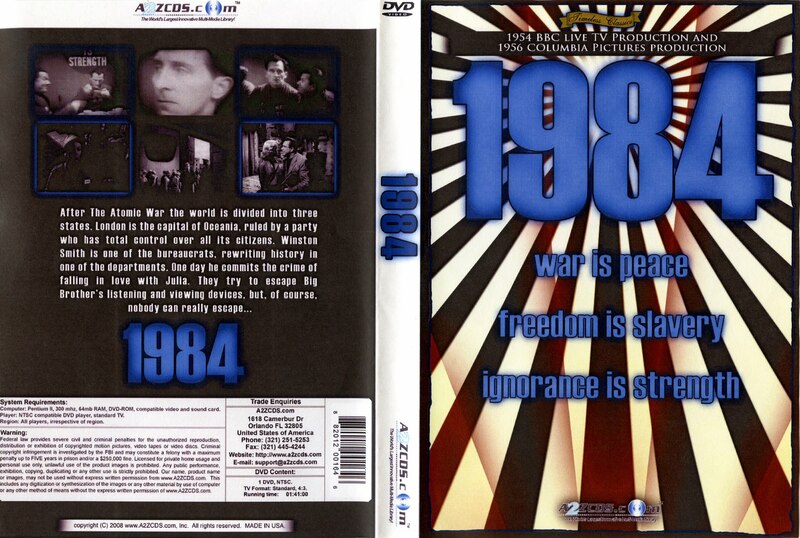 This version of 1984 is okay, but falls short of both the 1954 and 1984 versions. Kneale himself has been very critical of it, for example here's an interview where he calls it "a horrible bit of work." It's filmed more like a movie, with more detailed sets and varied camera set-ups, as it's not a live production being recorded in studio. But it's a bit clunky and heavy-handed (apparently funded by the CIA for propaganda purposes), focusing more on the love story, while Edmond O'Brien fails to deliver the relatable power that Cushing or Hurt bring to the role. It's a novel coincidence that Donald Pleasance turns up in sort of the same role in this version as well, though; and despite coming up shorter than its competition, it's still worth the watch. A2ZCDS 2009 US DVD film segment top; live footage mid; 1956 version bottom. So yes, this looks like soft, swampy grey mist. But I was at least happy this edition is free of interlacing and watermarks. To be honest, the live footage, which is the overwhelming majority of the film, probably wouldn't look a whole heap better in any case. But here, the video footage looks indistinguishable from the rest, whereas I'm sure it looks beautiful in that shelved restoration. Meanwhile, the 1956 version looks better with deeper blacks and a touch more detail, but it's still a super soft, macro-blocking mess that reeks of old video and over-compressed DVDs. And BFI would surely include subtitles, which of course these DVDs lacks, too. Again, these are budget, borderline bootleg discs. It's interesting to note, though, that this company also hosts the 1954 version (but not the 1956) streaming on Amazon Prime; and if you order direct from their site, you can get the 2-disc set or either version individually as single disc releases. Of course there are no special features here either, though they do slap on two cheesy, animated commercials for their DVD line on each disc. 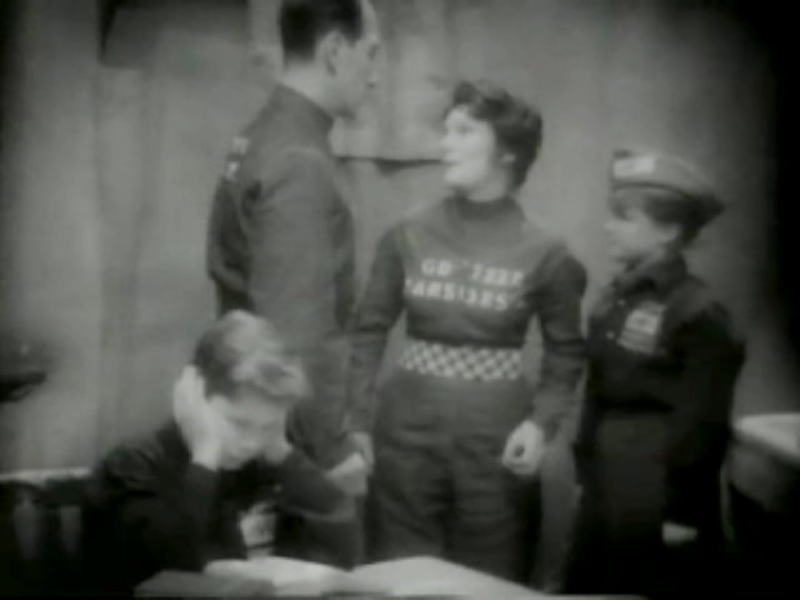 If BFI's edition ever were to see the light of day, one hopes they might include things like the BBC special from the 1960s that reunited the cast of the original 1984, or the rare 1965 BBC version that actually re-used Kneale's original 1954 script. Now, I hope nobody takes me featuring this particular A2ZCDS disc to mean that I'm holding it up as any more than a cheap junker. In lieu of anything else, it's better than nothing so I'm glad to have it, but that's as far as I can recommend it. Obviously, this film deserves a properly licensed edition with features and the restoration work that was already done and has been sitting shelved all these years. But the reason why I still hold out hope, as I mentioned up top, is that apparently the Orwell estate's copyright is due to lapse in just another year or two, and they will no longer be able to stand between this lost classic and its audience... providing physical media is still a thing by that time.